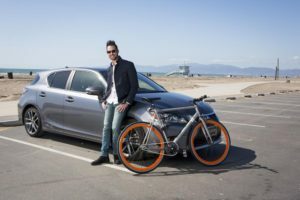 Twice in the past 18 months, Jeffrey L. Chernick 04BBA, CEO and cofounder of Los Angeles-based RideAmigos, has received the call that entrepreneurs dream about: an outside company was interested in buying his business. Shortly thereafter, a second company expressed interest in acquiring RideAmigos, but after a series of discussions, both parties agreed to not move forward. For Lisa Allen 01MBA, meeting customer demand brought the choice to keep or sell her firm front and center. 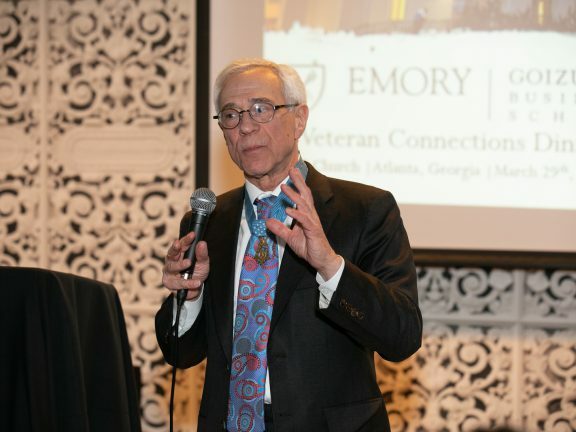 In 2005, Allen launched Big Boat Wine Co., a fine-wine distributor offering about 350 brands to retail stores and restaurants in the 10-county metro Atlanta area. For the next eight years the business grew at a healthy double-digit annual rate. Its success attracted a stream of potential buyers, both inside and outside the alcohol industry, sparking casual “what if” conversations between Allen and her family-member stakeholders. Since the company was doing so well, a scenario for change didn’t come to mind. For the company to reach the next level on its own, it would have to incur a substantial amount of debt. Allen, who prided herself on Big Boat’s lack of debt, didn’t like that idea. She opted to sell to a competitor, but with conditions that more resembled a merger. Besides making sure Big Boat was valued fairly and the sale price reflected her role in growing it, she wanted to ensure the match was a good fit. “I wanted to do right by my brands and their people and make sure they could continue to be successful in the market,” she says. “I didn’t want my company to be an isolated subset of some other company.” She also wanted Big Boat’s eleven employees—including herself—to have the opportunity to continue working there. She retained the services of a business broker with a background in the alcohol industry, which led her to the oldest distributor in Georgia. 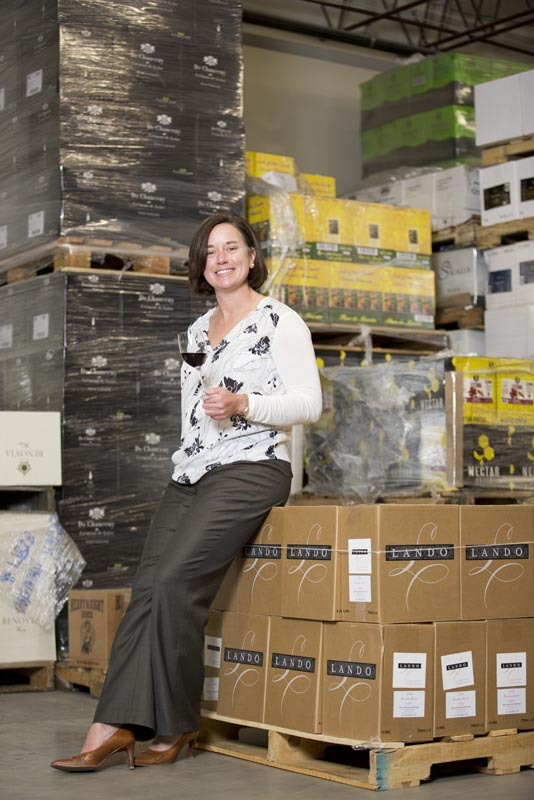 Savannah Distributing Co., a private, family-owned wholesaler since 1938, was interested in expanding its reach in the wine business. Allen’s CPA and Savannah’s CFO sat down and shared their books. The fact that Big Boat was debt free made it easy to assess on paper. 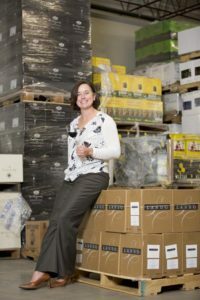 The deal was finalized in November 2013, and Allen found herself back in familiar territory as director of fine wines at Savannah Distributing’s Atlanta office. 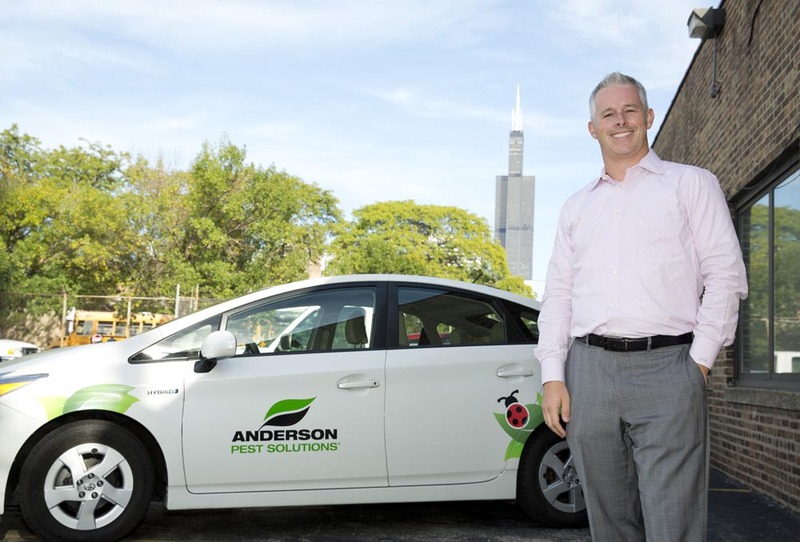 Shifting gears and positions is the scenario James Barnard 06MBA, former vice president and co-owner of Chicago-based Anderson Pest Solutions, is enjoying. As part of the sale of his family firm to the global pest control leader Rentokil, Barnard is leading the integration of Anderson and Rentokil in the Midwest. 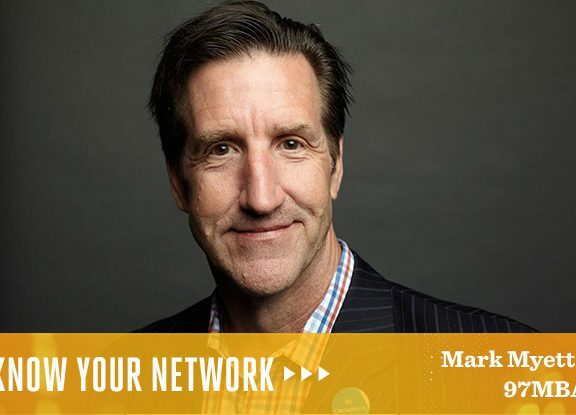 When Barnard was recruited in 2008 by his uncle Mark O’Hara, his plan was to run the business and eventually pass the reins to another family member. After all, the company had been a family business since Barnard’s grandfather founded it in the late ’40s. 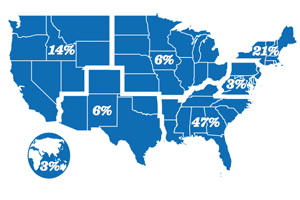 Over the years, Anderson’s growth secured its spot as the largest family-owned pest control company in the Midwest, with 200 employees and 20,000 customers. With annual sales of about $22 million, it was also 30th largest in the US. As O’Hara began transitioning into retirement, with no other family members expressing an interest in the company, Barnard recognized that sooner or later, he would have a succession issue. Since Anderson was doing well—growing at 5 percent a year versus the industry norm of 2 to 3 percent—Barnard and his uncle agreed it was an opportune time to sell, if the right buyer could be found. As the leader in the major Chicago-area market, they’d be negotiating from a position of power. They enlisted a broker agent to narrow the list of potential buyers and manage certain aspects of the negotiations. Barnard concedes the point. “There were days when my uncle and I were like, ‘I don’t want to sell the company.’ There were other days when we were saying, ‘It’s really exhausting to run the company, and at some point we know we’re going to have to sell.’” After examining several offers, Barnard and his uncle settled on negotiating with the UK’s Rentokil, not because it had the highest bid—it didn’t—but because they felt it would be the best fit for their employees. Rentokil is a public company based in London, England. It lacked a presence in the lucrative Chicago-Midwestern market, which made Anderson an attractive target. A deal was finalized in July 2015, when Rentokil assumed ownership of company assets from Barnard and O’Hara. 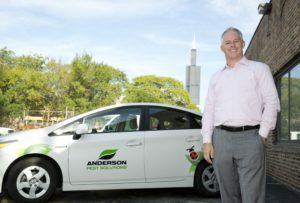 Barnard would lead a one-year transition period, during which the company would continue to do business as Anderson Pest Solutions. Afterward, Barnard would have the option of remaining with the company in upper management. In addition, Anderson employees who wanted to stay could do so—a key negotiating point that benefited everyone, since Rentokil had no other Chicago presence to fall back on. The heady days of starting a business can be all-consuming. There are so many details, challenges, and timelines that the adrenaline rush helps sustain the entrepreneur. But what happens when the day-to-day demands become overwhelming? More than one business owner flirts with the idea of selling. 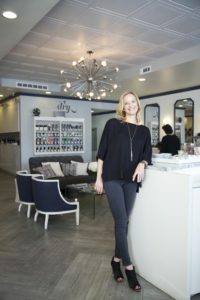 When blow-dry bars, the hottest trend in women’s hair, attracted the attention of Paige Perkins 04MBA, she saw an intriguing business opportunity that she could replicate and improve. Unlike a traditional hair salon, blow-dry bars do not cut or color hair. Instead, customers get their hair washed, followed by a scalp massage, blow dry, and styling. Her interest was strictly from a business standpoint, since she had no previous experience in the hair-fashion industry. Business was good, revenues climbed, and GlowDry was profitable after only two years. But, as the sole owner, everything fell to Perkins, including the time the salon was broken into and she had to get up in the middle of the night to talk to the police and get the front door secured. The hours were brutal—GlowDry was open six days a week, 12 hours a day. Knowing she was responsible for the livelihood of 30-some employees, as well as being a wife and mother of two young children, added to her stress level. She loved running a business but increasingly couldn’t see herself consumed by it for the next ten years. She didn’t make a move right away. She weighed the options and floated the idea of selling to several former university classmates. One alum held a stake in a national chain of blow-dry salons called DreamDry, based in New York. Casual conversation turned into serious negotiations to sell the business. After about a year of talks and planning, the deal was finalized on January 1, 2016, and GlowDry became part of the DreamDry franchise. Fortunately for Rani Huang 12WEMBA, her company has reached a critical point of success where investors are now very interested in benefitting from her long-term vision. Huang is president and COO of RayBiotech Inc., a Norcross, Georgia-based medical technology company she cofounded in 2001 with her husband, Professor Ray Huang, MD, PhD, a former Emory University professor. She regularly receives offers for her company, but some entrepreneurs are entrepreneurs for life. “At this stage, it’s not just about making money anymore,” she says. Instead the Huangs’ focus is on expanding their business. RayBiotech’s products could eventually point the way to cures for Alzheimer’s, cancer, and other progressive diseases, as well as support the trending concept of personalized medicine. Given the appeal of innovative healthcare technology to investors, it’s not surprising Huang has received many lucrative offers. But her decision to not sell is a matter of personal and professional priorities. “We want to take our technology to the next level, developing more diagnostic kits that will lead to very early detection of diseases before symptoms begin to develop,” Huang says. This move will not only lead to more effective treatment strategies, she contends, but ultimately will result in the discovery of new cures. But never say never. Huang concedes that they could sell or merge RayBiotech one day. “Maybe if the price is right, or we think we can do something else of benefit in the medical-health area,” she says. Rogers started the Alpharetta, Georgia-based company in 1983 with five employees. Originally a traditional electrical contractor only, he added the Rogers Service component several years later to manage the burgeoning electrical power and data needs of The Home Depot and other large customers. The move was followed by another startup, Rogers Lighting, to take advantage of the growing market for LED technology. The expansion of his core business, which employs 1,500 people in 12 offices across the US, has been entirely self-funded through revenue growth. That free capital has even allowed him to invest in other companies as well. 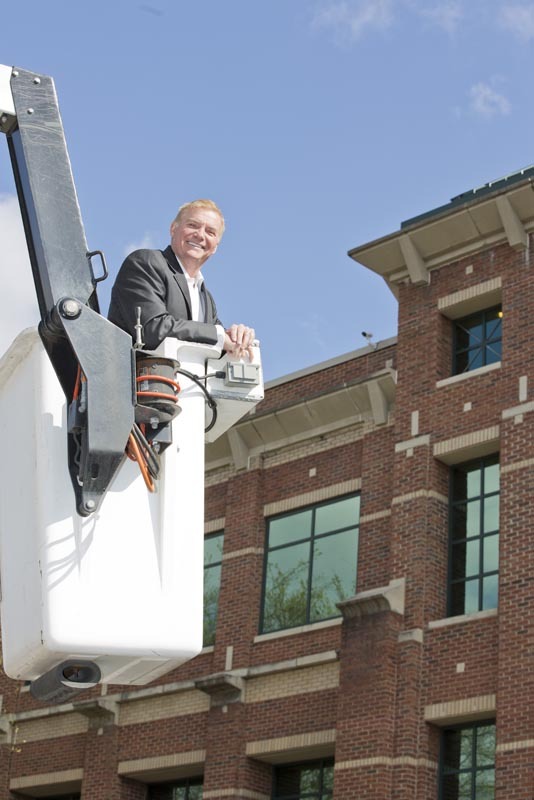 Although Rogers has no plans to sell his electrical businesses now, he knows it will probably figure into an exit strategy somewhere down the road. He sees three options: leave the business to his children, sell to a private equity firm, or go public. The latter is the least attractive option to Rogers. Running a public company involves a tremendous amount of stress, he says, with every decision subject to intense scrutiny along a timeline measured in quarterly increments. prerogatives are limited. “They no longer can do what they want, when they want,” he explains. “They have to answer to a board of directors, which may have very different opinions on how the company should be run. In an extreme situation, the original owners could be ousted. The entrepreneurial journey has plenty of twist and turns. 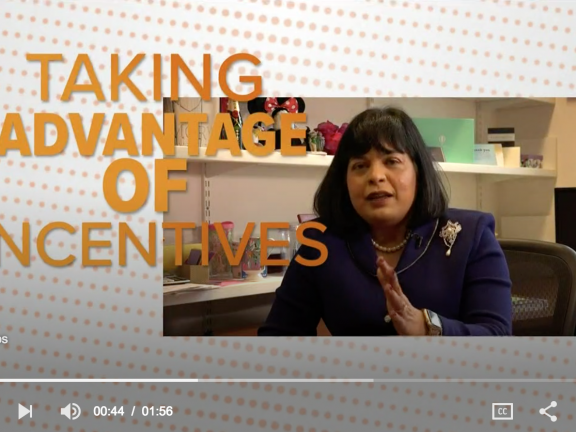 For those who survive to create a thriving business that attracts the attention of potential buyers, the decision to merge, cash out, or grow their business often boils down to one vital question: Why did I start the business in the first place? 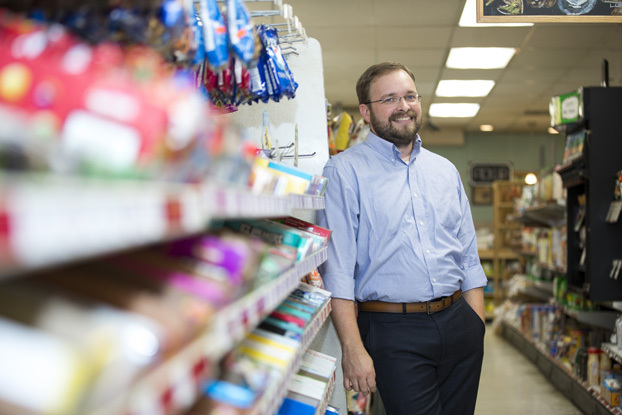 “Asking this question is as important at the beginning of the process as it is when you consider selling your business,” notes Goetz, who teaches exit strategy and how to maximize a sales price in his Applied Entrepreneurship class. “If you wait until you are approached with an offer, the pressure to make a choice may cloud your consideration.” In his many years of experience, Goetz says that by the time an entrepreneur reaches the point of selling or not, most business owners have a strong feeling one way or the other. It is easy to second guess. His advice is to trust your feelings, but verify facts and do your homework. Such due diligence will require investigating what other similar companies have sold for and what is a fair multiple of profit or revenue for your business. Also determine how critical the purchase of your company is to the buyer. 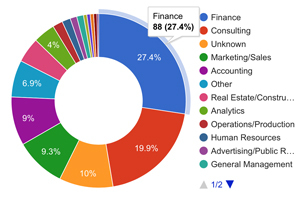 Is it a strategic or financial decision? If the answer is strategic, then asking for a higher multiple is warranted. And, cautions Goetz, though you should rarely take the first offer, pushing too hard can alienate the buyer and sometimes sour a good deal. 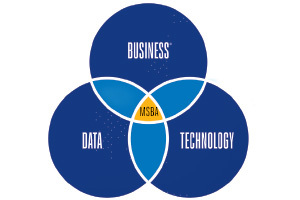 In the end, alumni and faculty agree that the owner’s goals—both personal and professional—need to be weighed and well understood before considering a sale or merger, or opting to stay on course. Gary Goettling is an Atlanta-based freelance writer with more than 20 years of experience. His assignments cover a variety of topics related to business, technology, science and history.